Our ambassador program is always looking for the right shooters. 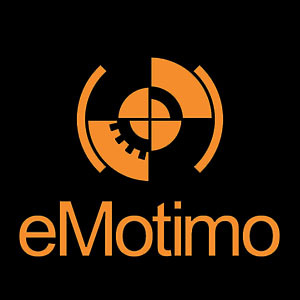 eMotimo does add ambassadors and sponsored shooters on occasion. Since 2015, we have only brought on shooters who have purchased our gear for full price initially. We don’t give away gear and discounts to unproven relationship. This has never worked out to be equitable in the long run. If you are truly interested in being an eMotimo ambassador, it starts with buying our gear and developing compelling content that naturally reaches our potential customers. Our ambassador program is different from other vendors. At eMotimo, we encourage you to use other gear, integrate to it and push the boundaries further. We want our ambassadors to benefit from free and discounted gear, but never at the expense of their integrity and freedom of choice. Sound good right? Why do we bring it up? Some our loudest competition requires signing exclusive contacts to only use their gear. Read that again and read further. When you take free gear and sign a contract to only use that gear, you are financially and legally locked in. Your objectivity is gone and you are now just an advertisement. Unfortunately its tough to be a professional independent shooter and the lure of free gear and has seen many people compromise their integrity. I am a long-time customer of eMotimo, give me a chance! We love our long-time customers. Our typical ambassador is a shooter who likely has multiple staff picks at Vimeo, shoots with a DSLR, mirrorless and mid to high end cinema camera like RED. Our ambassadors are typically shooting a blend of production video work, travel, and some timelapse. Our tools these days do so much more than timelapse, timelapse-only shooters have trouble reaching our larger audience. eMotimo ambassadors need to self-manage, be self-motivated, and really help us reach new audiences with how-to videos, feature explanation, BTS shots, and product feedback in a timely way. We want users to not just create great content, but be able to explain how they did it! If you think this is you, reach on out to sales at emotimo.com so we can start a conversation when slots open up.